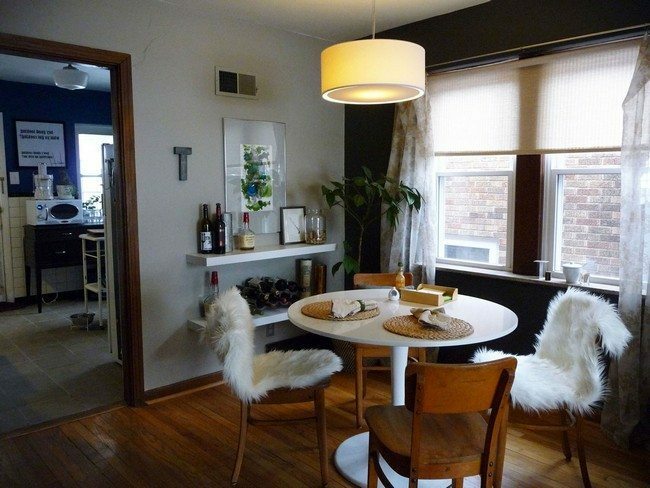 Attention has been drawn to unique details in this small dining room, where a small, round, white table is surrounded by chairs covered in fur and others which are plain wood, creating a variety of styles. 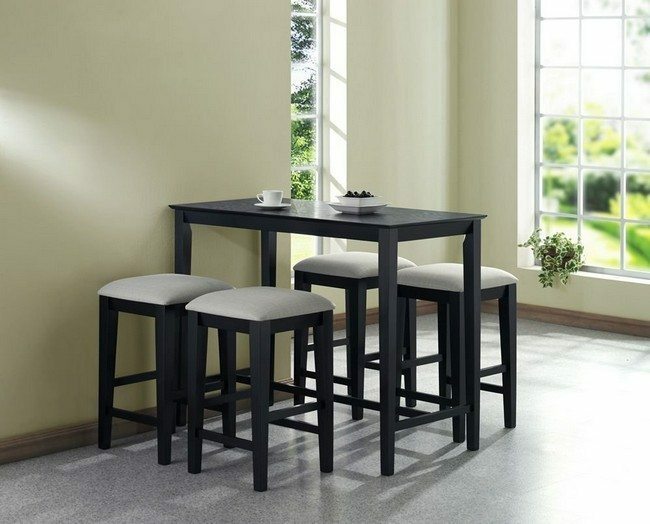 A dining booth utilizes space and provides a great environment for relaxation and conversation. 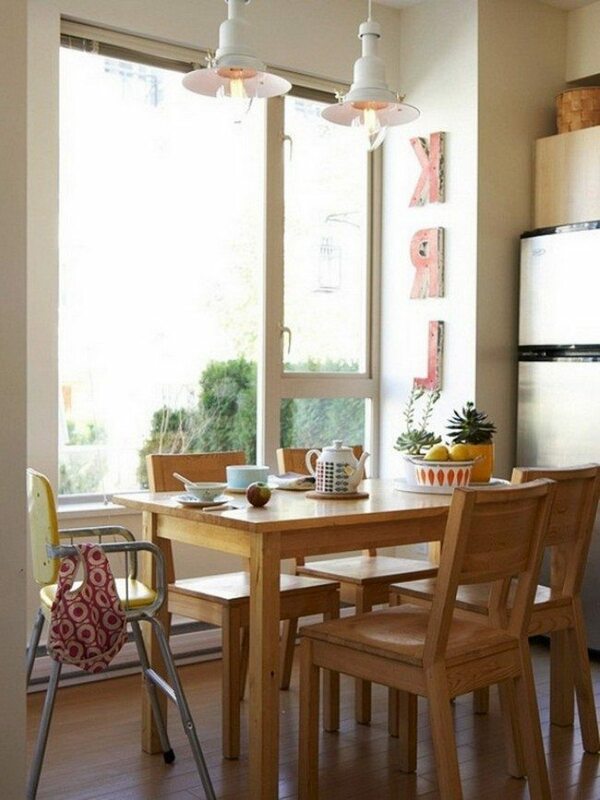 The adjacent window expand the view of the room the room to the outdoors, making it appear bigger. 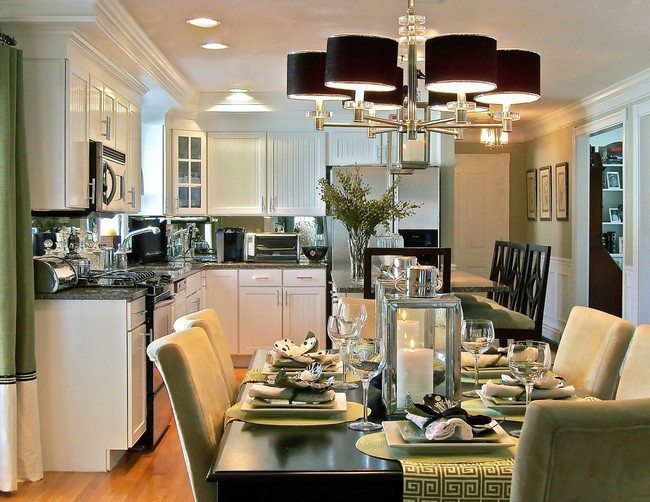 The natural lighting from the large window and the light colors used make this dining room seem larger than it is. 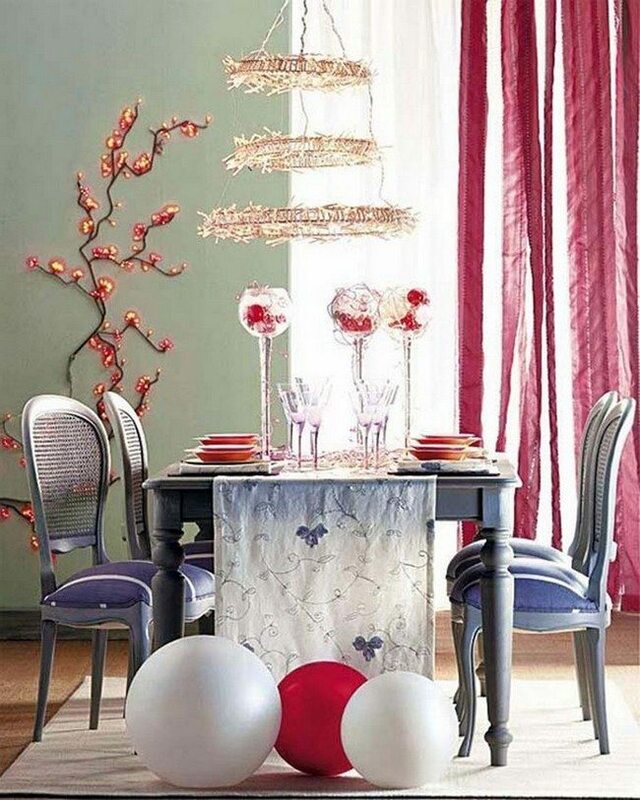 This traditional dining room has white walls and the table used allows the hairs to be tucked in easily. 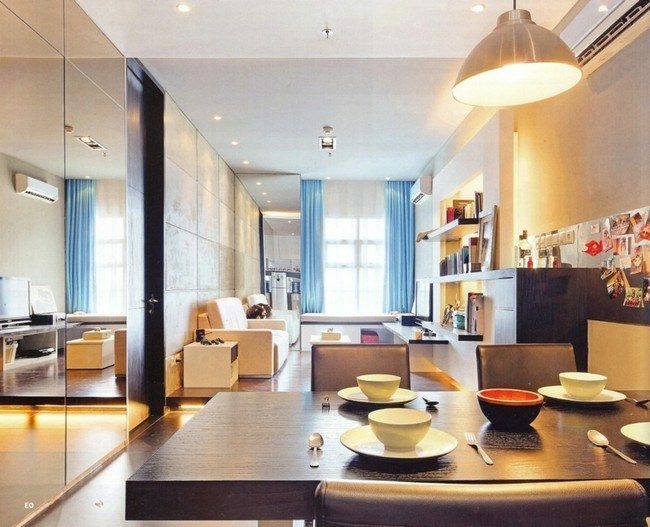 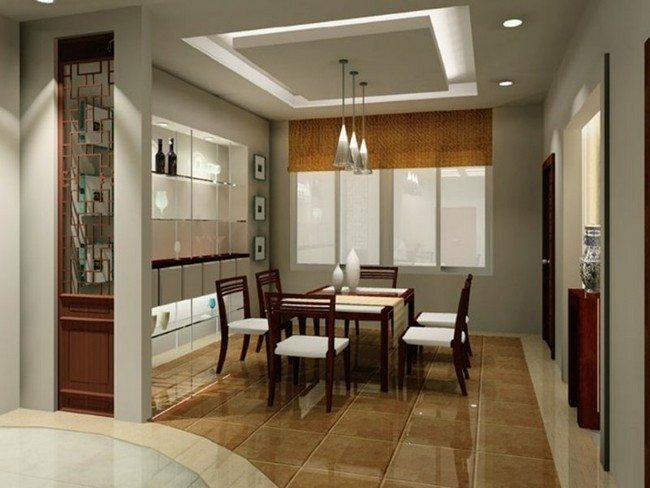 This dining area is made to maximize the use of space. 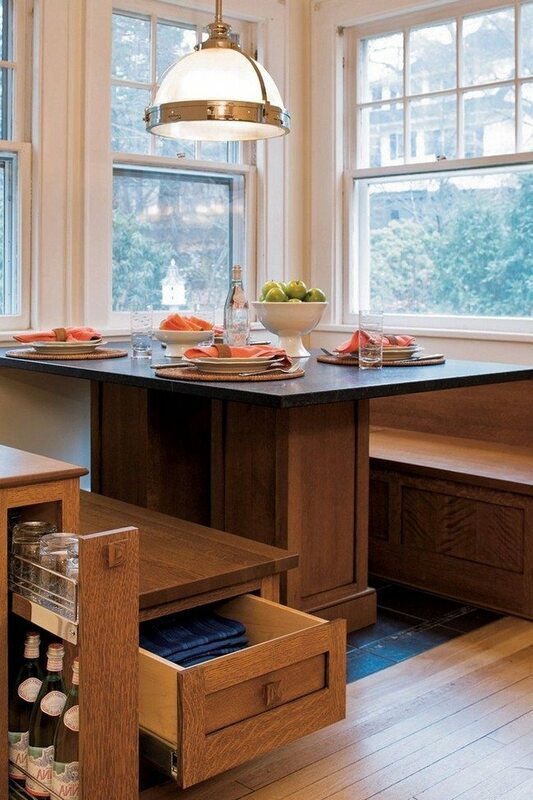 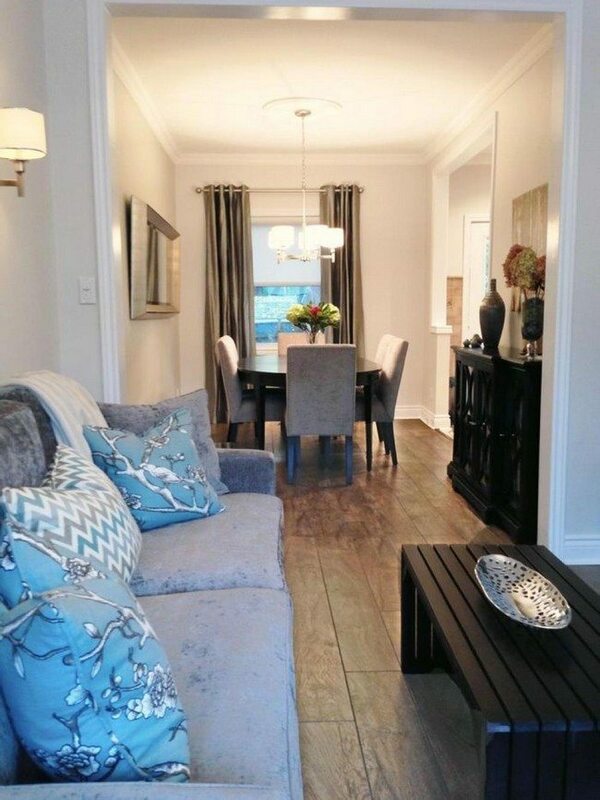 The seating area has drawers to provide room for storage while not taking up any extra space. 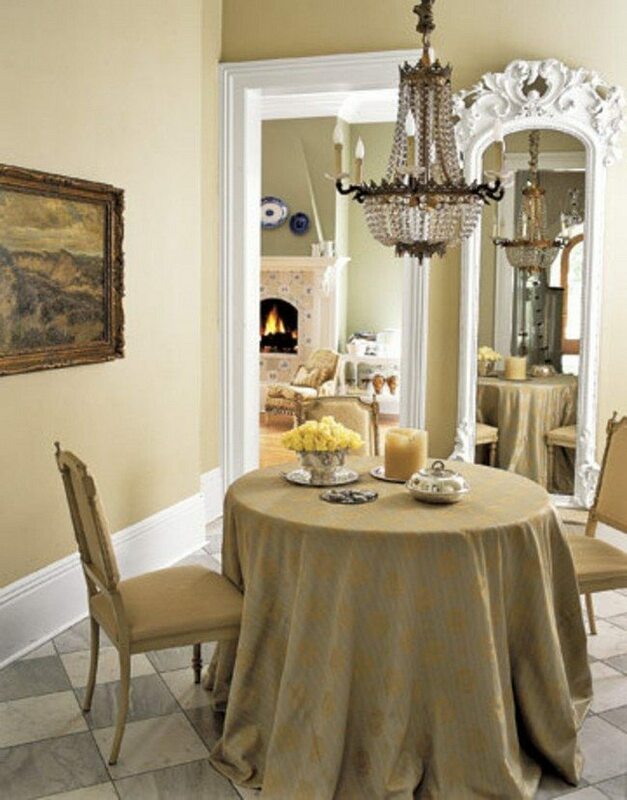 This small dining room uses a small, round dining table covered in a gold tablecloth and combines this element with gold-colored dining chairs. 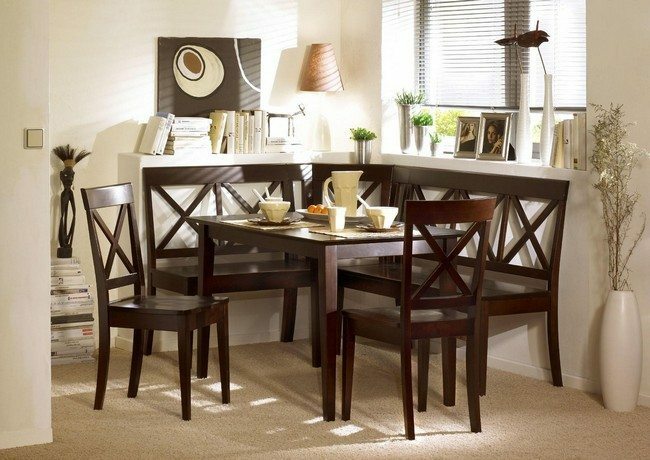 This dining room is very simple. 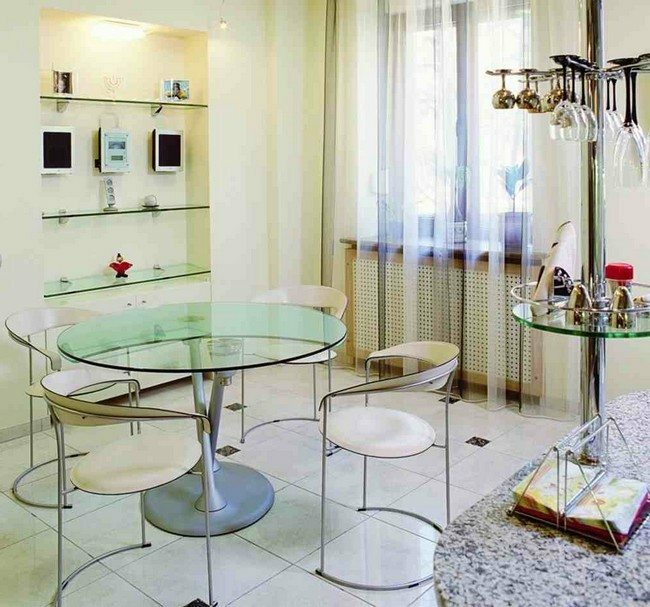 It is plain and lacks any major decorative features. 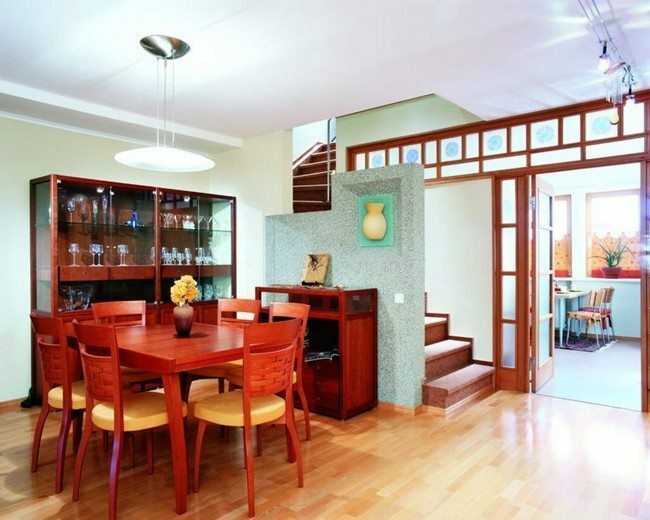 The large adjacent window allows the entry of bright, natural light. 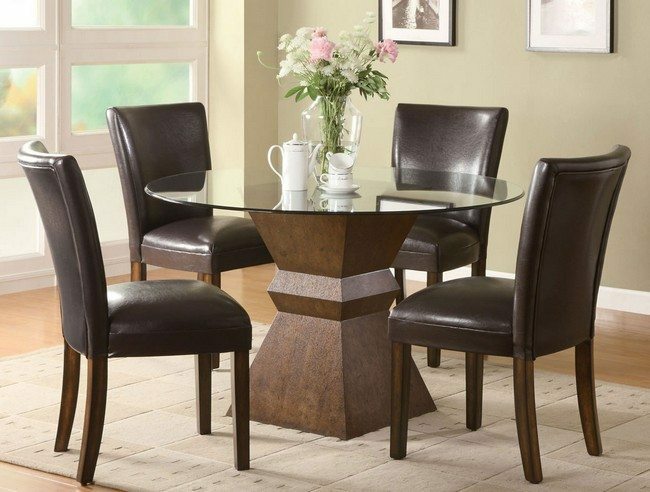 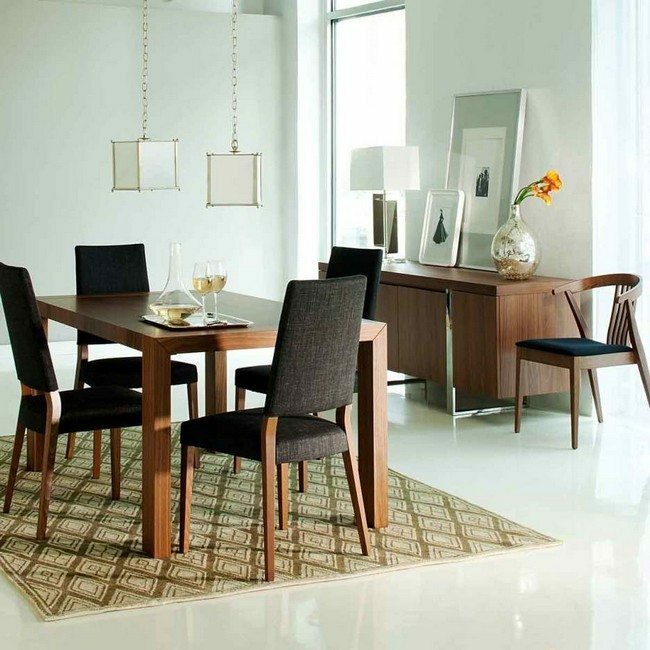 When you have little space, go for a simple, minimalist design as used in this dining room. 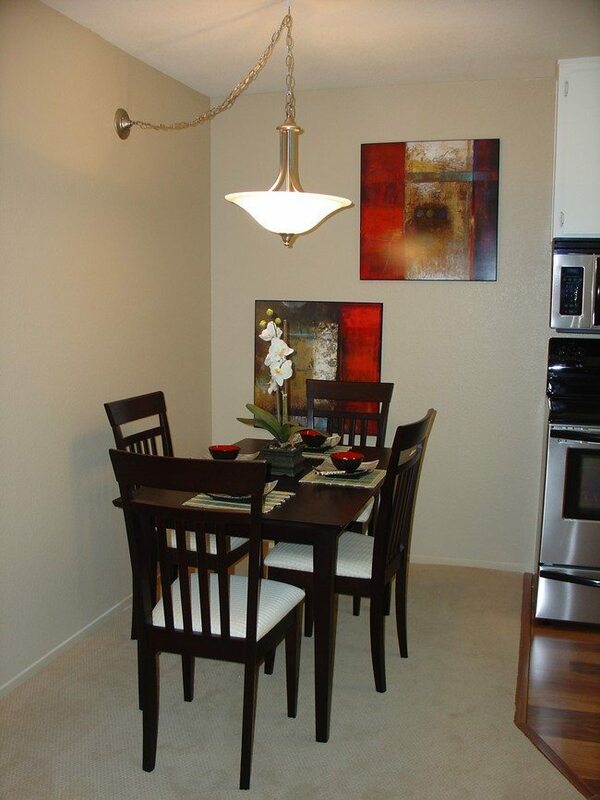 Using colors that pop like red brings life to the small dining room. 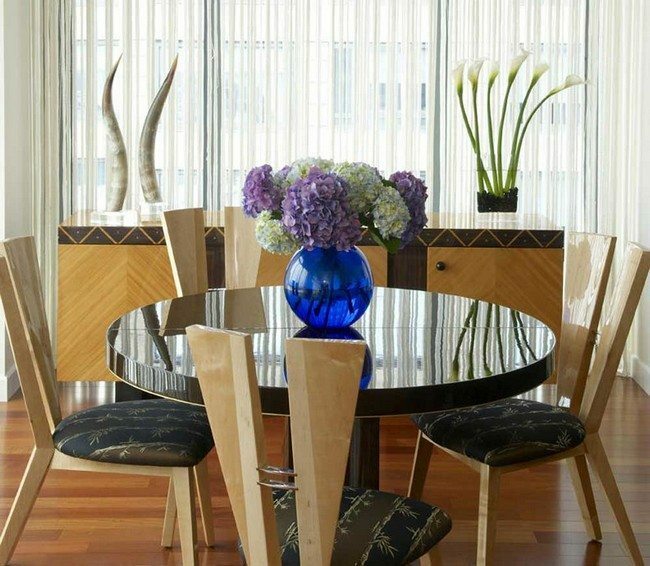 This dining room makes use of shiny gold details. 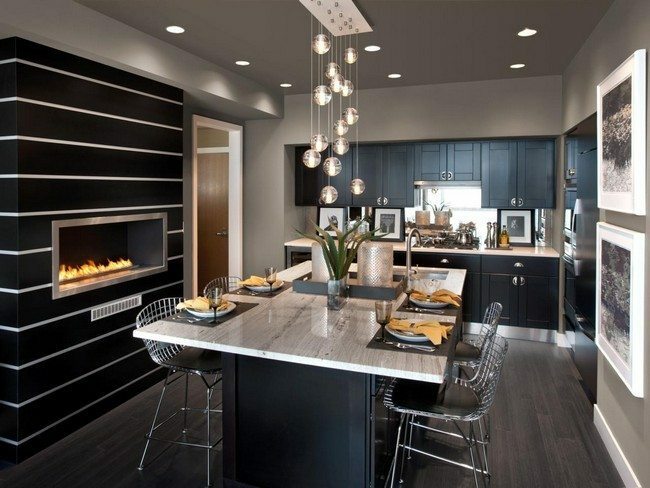 The adjacent fireplace gives it a warm ambience.